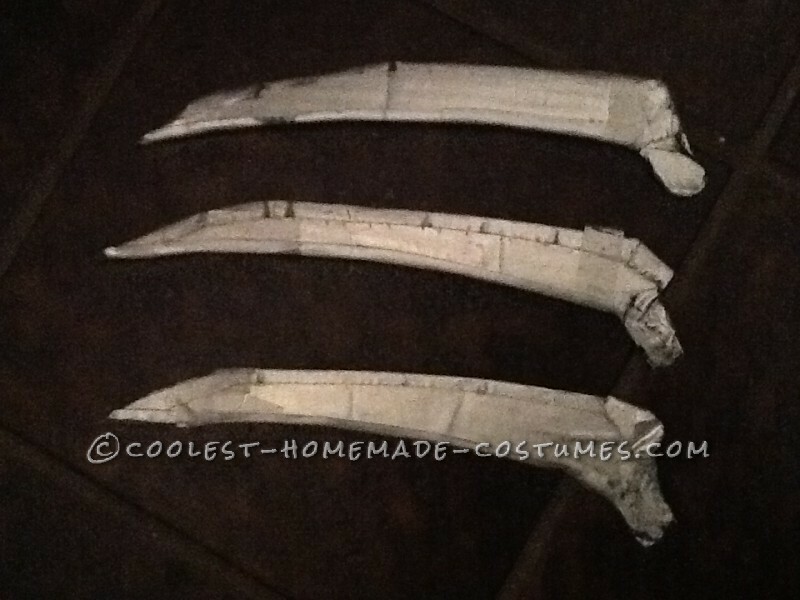 To create my Wolverine (2009 “X-Men Origins: Wolverine” version), I created the first 10-inch cardboard claw, shaped to fit in and protrude from the spaces between my fingers realistically, and then used it as a template for the other claws that I would use. 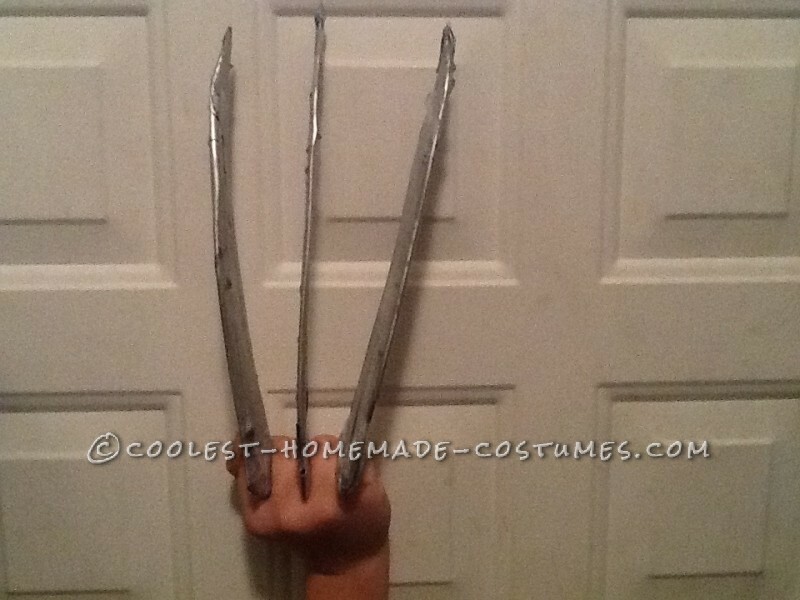 Then I covered the claws in two layers of duct tape, reinforced the edges with office tape, and spray painted them metallic silver. 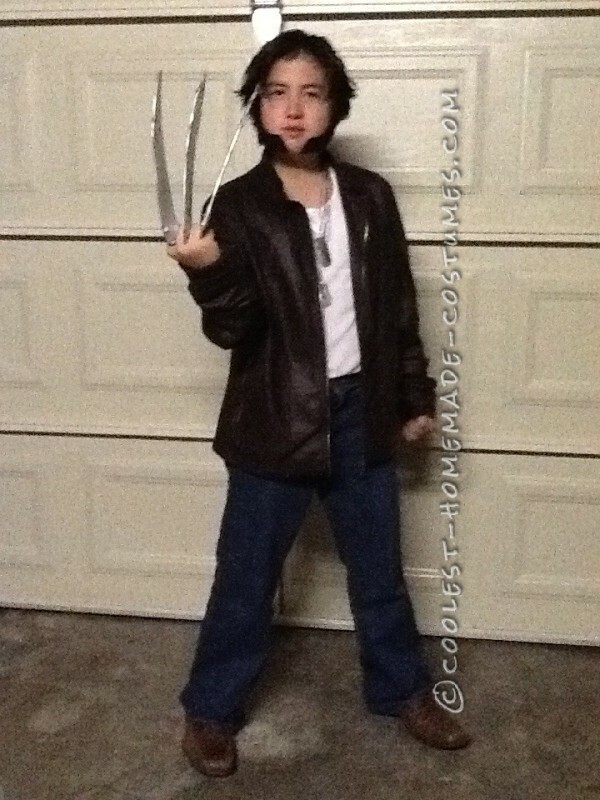 I used two small pieces of cardboard for the dog tags. 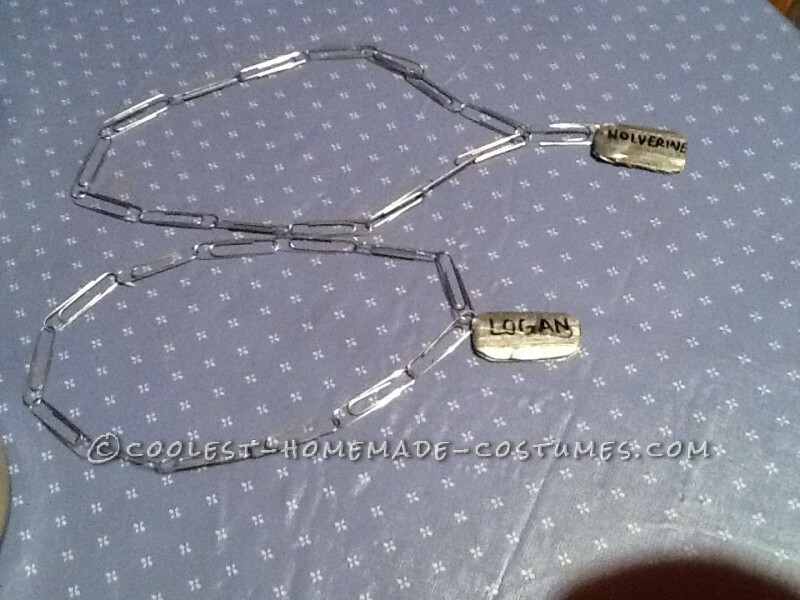 I covered them in duct tape andd spray painted them silver and used a permanent marker to write “Wolverine” and “Logan” on both sides. 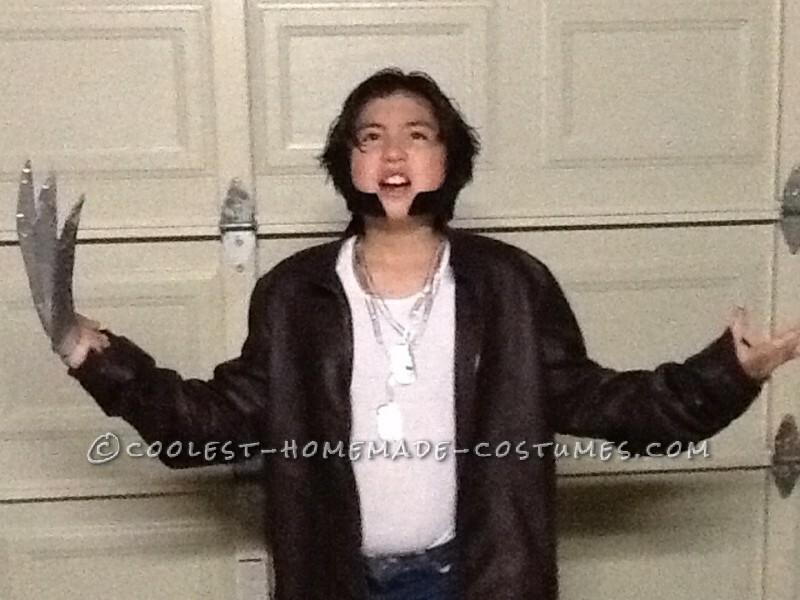 Then used a total of 30 paper clips to make the chains so that I could wear the tags. The brown leather jacket cost $30. The white tank top, the paint, a set of fake sideburns, and the duct tape cost $5 each. 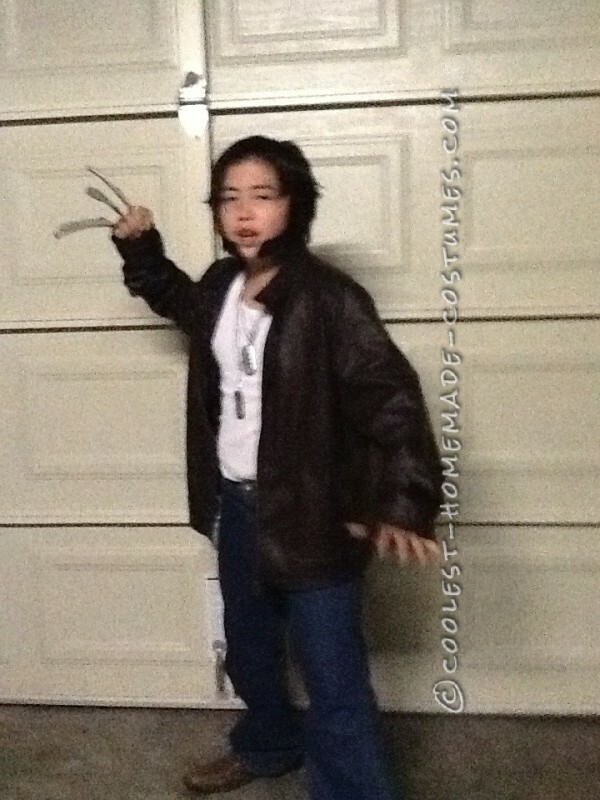 I added jeans, leather shoes, and some hair gel to complete the costume.